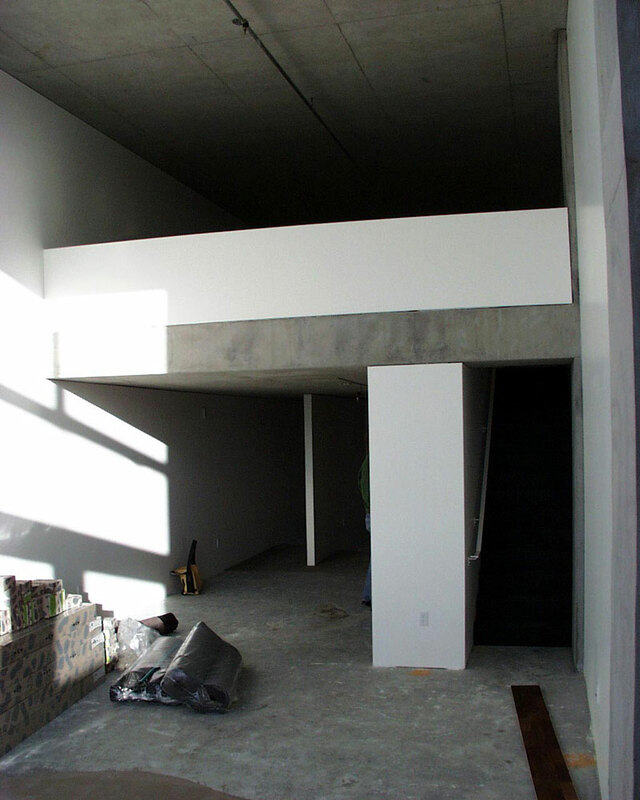 Renovation of recently constructed cold shell 2 bedroom, 2 full baths loft condominium with a 555 sq. ft. private terrace. 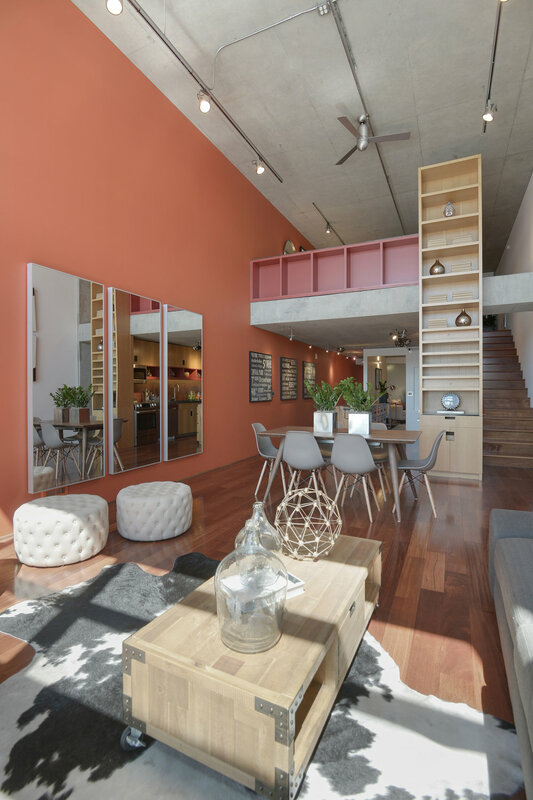 Given a concrete shell, we designed this space to bring a contrasting warmth through the use of brighter colors, and natural materials. The condominium is located in downtown San Francisco by Moscone Center and SalesForce Tower. in a project designed by Natoma Architects / Stanley Saitowitz in 2002. Complete design and lighting design services. 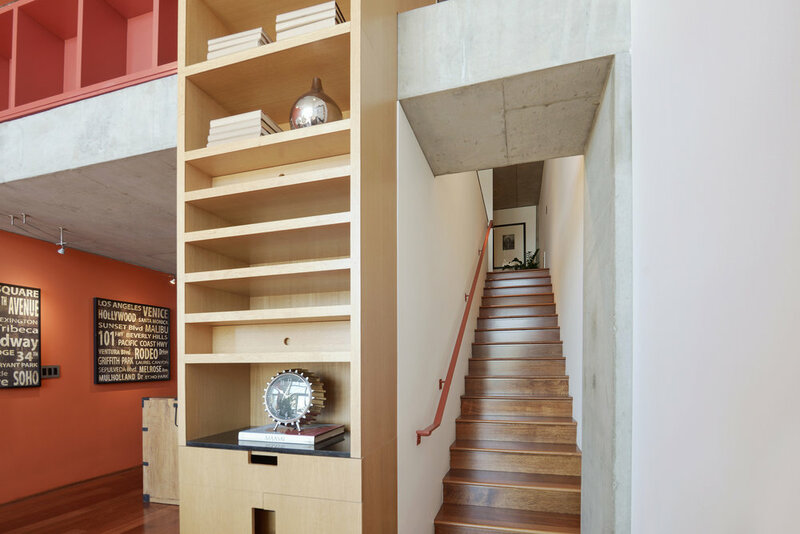 This project was a featured home during the 2003 and 2004 AIASF Home Tours. Wood flooring is Merbau. Custom plate steel countertops are stitched togeher with silicon bronze clamps. Steel Manufacturing: Alex Weinstein, Vague Studio. Custom Cabinetry and Raised Bed Frame fabricated by Niles Snyder, Niles Design, Portland.